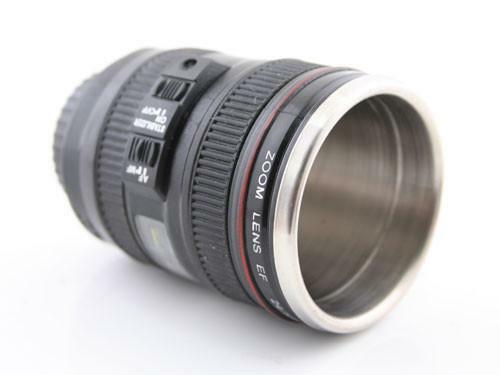 We have featured several camera lens inspired coffee mugs, but if you need a small option, the following tiny camera lens mug may be more suitable for you. This is an exquisite and interesting coffee mug that measures 72 x 45mm diameter and weights 48g. 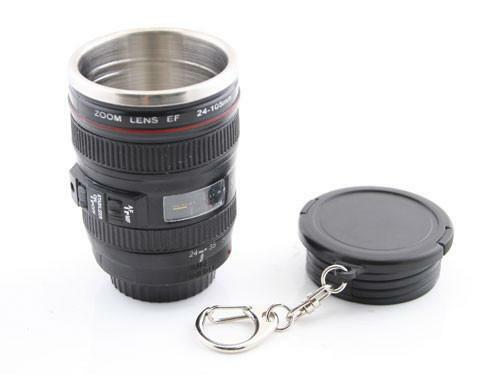 As we can see from the images, the coffee mug is shaped as a realistic DSLR camera lens, but features more portable design, and comes with gorgeous details and colors. Using the stainless steel thermos interior the mug fits hot and cold beverages, moreover, the camera lens mug also has a cap, and the included key ring allows you to attach the mug onto your backpack. 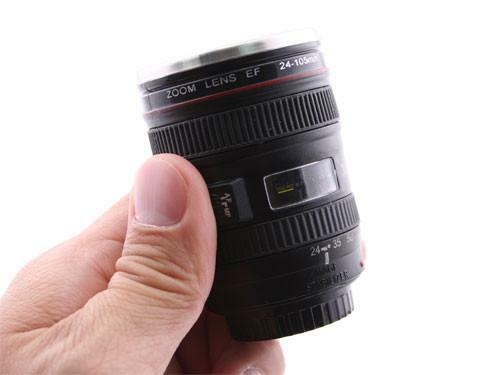 The tiny camera lens mug is priced at $10 USD. If you’re interested, jump to USBGeek online store for more details. Additionally, If you need other options you might like to check Cthulhu and Zombie mugs and more via “coffee mug” tag.